I won’t link to the clickbait article (since removed) on how libraries should be replaced by Amazon. You’ve seen it or at least heard about the piece, published by Forbes, who will apparently post any piece of dreck that crosses their digital transom. Twaddle, came the response from librarians on the Internet. Among the many things that the author (an economist!) gets wrong is that libraries solely provide books. While they’re very good at that, today’s libraries supply a valuable “third space” to meet, learn and check your email without having to buy anything. This alone is an invaluable service to the community. I’m fortunate to live in Washington, DC, which has a wonderful public library system. This wasn’t always the case (see the Marion Barry era) but today the nation’s capital is graced with beautifully renovated branches, like the West End Library. I love checking their online catalog at home, putting a hold on a book, and then picking it up. If an entrepreneur pitched this concept to Silicon Valley (it’s Uber for books!) it would be worth a billion dollars. But, since libraries have been around since the dawn of civilization, we take them for granted. Seminole County, FL, where I grew up, is considering outsourcing its library to the lowest bidder, a project that will make a contractor slightly richer and the community much poorer. Instead, let us celebrate and appreciate libraries. A good place to start is The Library: A Catalogue of Wonders by Stuart Kells. This book is less a history of libraries (though you’ll get that) and more of a wonderful collection of stories about bookish pursuits from a master storyteller. You’ll learn how books created the world, from Sumerians scribbling down accounts of grain surpluses to the sweeping tales of the Bible. Every great society has valued books and libraries, from the Romans who treasured (and stole) Greek manuscripts to hidden collections of books amassed by Elizabethans. 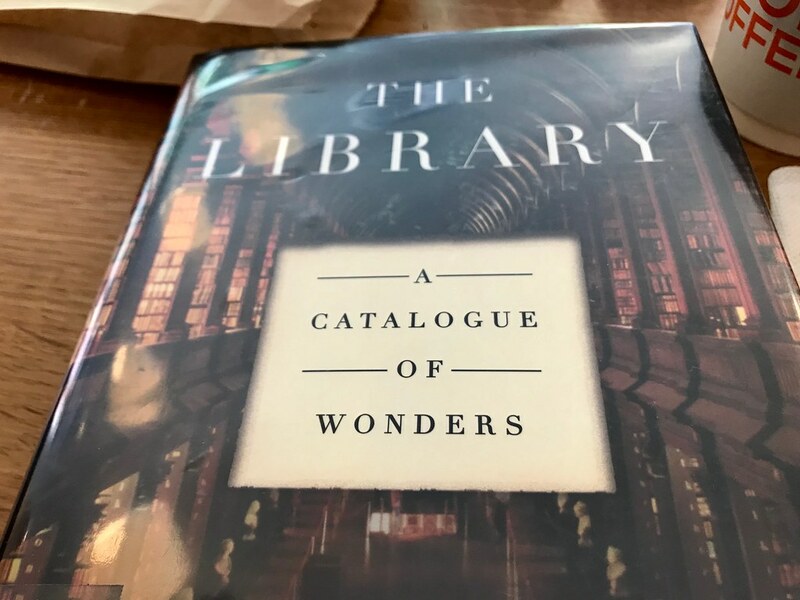 The Library: A Catalogue of Wonders is a world tour of libraries, both real and imagined, from the secret stacks of the Vatican to the biblioteca of Borges. Along the way, you’ll learn the scurrilous methods used by collectors to assemble their libraries and how collectors were deceived by unscrupulous booksellers. Henry Clay Folger bought a lot of dubious crap marked Shakespeare when bringing together the Folger Shakespeare Library. Libraries made us. Without books, and the ability to transmit knowledge across time and space, we would not have civilization. Let’s celebrate our one of our oldest and most valuable inventions: the library.